Financial services firm PwC has strengthened its Midlands team with 17 senior promotions including four new partners. The quartet of new partners are Mark Foster and Gill Hinks (both assurance), Rebecca Clayton (deal valuations) and Alan Caroll (international tax). 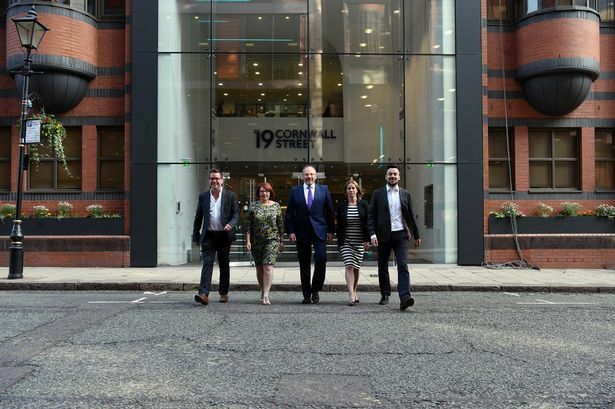 There are also 13 newly promoted directors across the Midlands and 161 other promotions across its offices in Birmingham, Milton Keynes and the East Midlands. Midlands region chairman Matthew Hammond said: "We are proud of our diverse and inclusive workforce and continue to invest in colleagues at all levels to achieve our growth ambitions and meets clients&apos; needs. "In order to provide the highest standards and quality to our clients our people are drawn from a broad range of skills, backgrounds and experiences, and that&apos;s exactly what our new partners represent. "Our partner and director investments are in areas where we&apos;re seeing increasing demand from our clients for industry experience, technology expertise and diverse perspectives. "The importance of the Midlands economy to the UK, with its healthily balanced mix of industries, indigenous and international businesses is vital to the overall performance of the Midlands engine and a key element of PwC&apos;s investment in the Midlands." Nationally, PwC UK has admitted 54 equity partners, an increase from 31 the previous year.